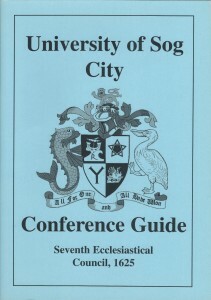 How the West was One is set in Greg Stafford’s Glorantha, at the University of Sog City (USC). 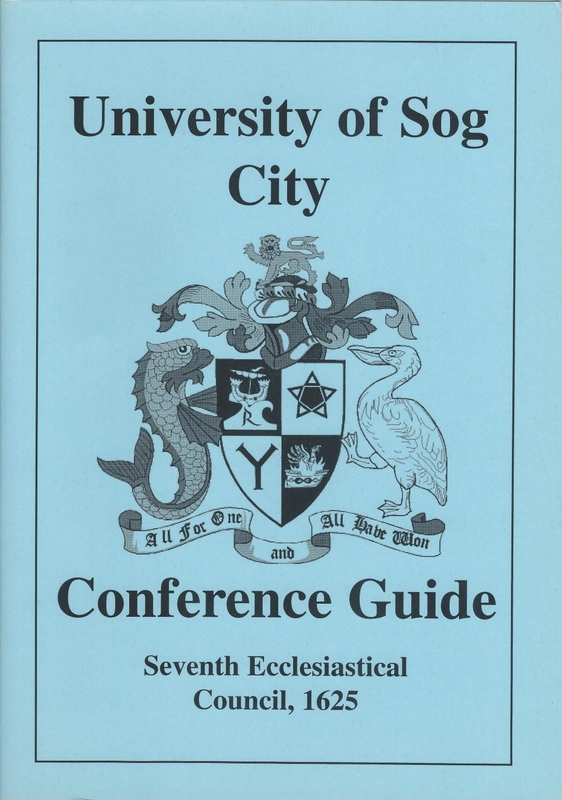 University of Sog City Conference Guide – background to this ancient university, voting procedures and guide to conduct. 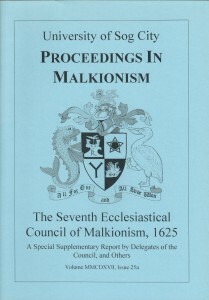 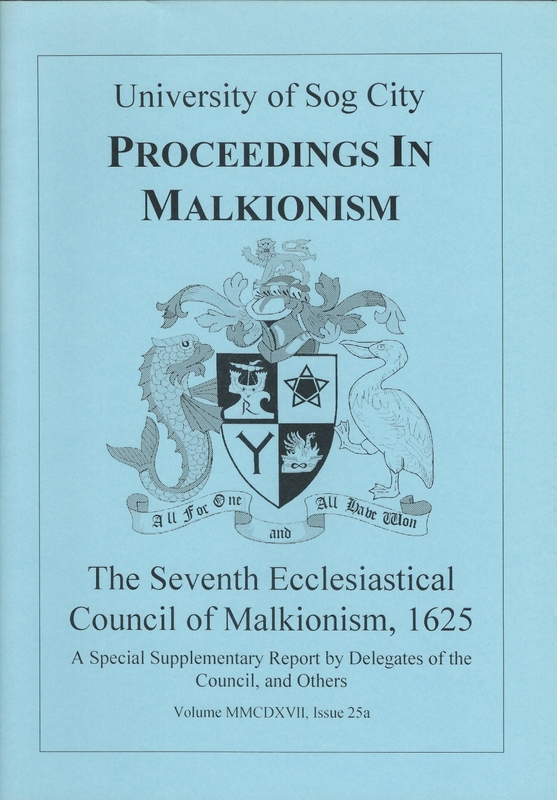 Proceedings in Malkionism – accounts of the first run of the game (& convention reports from Convulsion ’94). 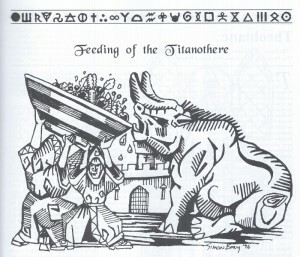 Includes recipe for vegetarian lasagne (the feeding of the Titanothere, illustration by Simon Bray). 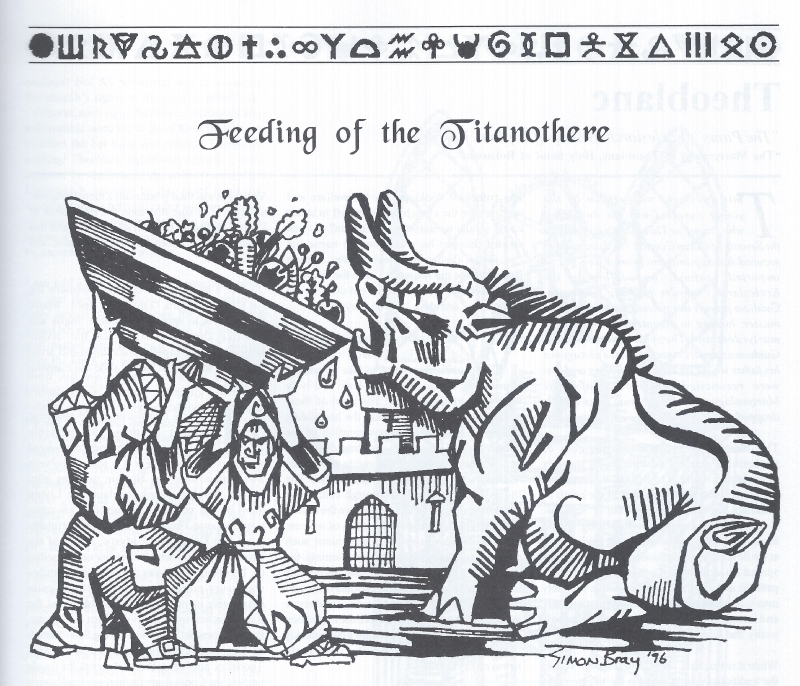 Nick Brooke has reproduced much of the useful game background material here.